Green left the military and became a firefighter with the Wyoming Fire Department in Cincinnati, Ohio. It was there, while sitting on the back of a fire truck, that he found the inspiration to create products designed to keep firefighters and civilians safe. 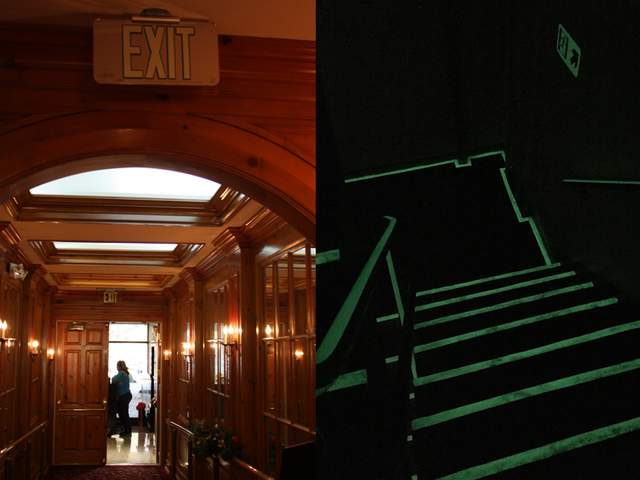 Green was determined to find a way for firefighters to see while navigating dark stairwells and rooms through use of photoluminescent technology. The Marine took what he learned about the technology behind military Kevlar helmet bands with “cat eyes” and applied the same concept to similar gear worn by firefighters. His self-illuminating products create a light source sufficient enough to rely on during treacherous, low-visibility scenarios. The innovative technology is essential to accomplishing the mission of many occupations due to the products’ self-sustaining capabilities. The Cincinnati native’s company, MN8-Foxfire, showcased the first set of products — an illuminating helmet band and a do-it-yourself illuminating adhesive strip kit for stairwells and other indoor areas — in 2010. 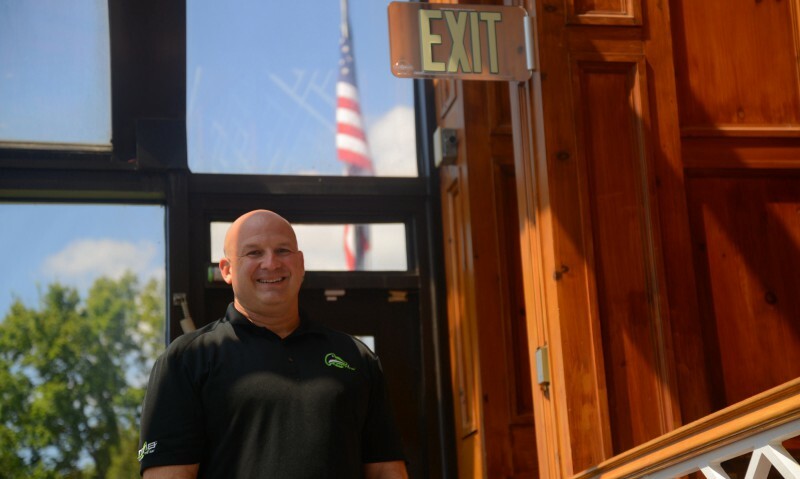 Since then, the product line has grown to into a second company LumAware that include self-illuminating photoluminescent exit signs and reflective visual coatings for fire hydrants, ladders and other tools. The highlight of Green’s journey as an entrepreneur occurred recently when he witnessed members of the New York City Fire Department on television wearing his technology while performing a rescue at one of the new Freed Tower (World Trade Center). It touched the Legionnaire to see the nation’s heroes outfitted with his company’s products. Today, more than 60,000 firefighters in over 25 countries use Foxfire products on the job. 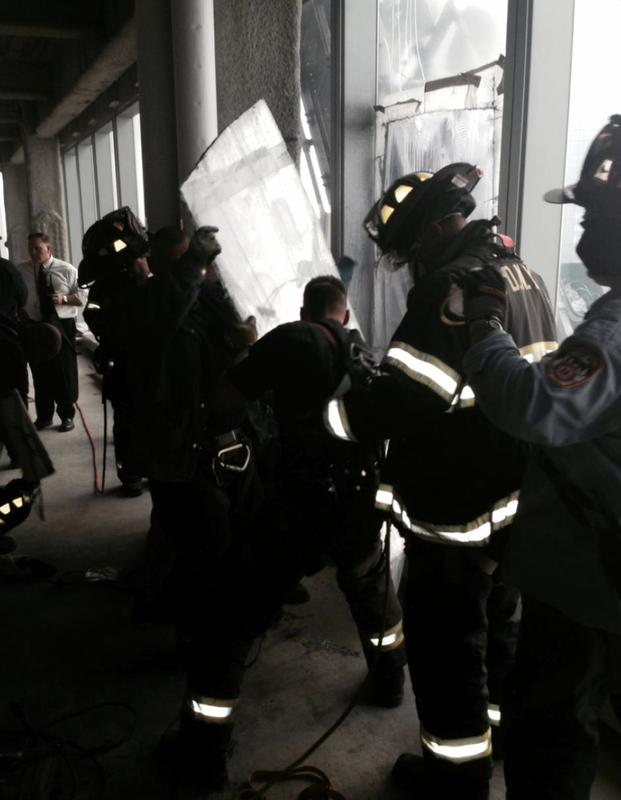 FDNY Rescue 1 rescues a stranded window washer from the upper floors of the Freedon Tower. Notice the Foxfire reflective/glow firefighter helmet decal on the upper right.